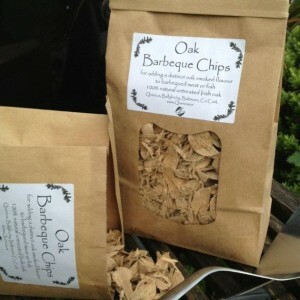 Our oak chips are 100% Natural Irish Oak and add a distinct oak smoked flavour to barbequed fish or meat. 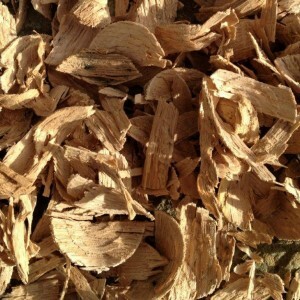 People have been using our oak chips to produce everything from artisan oak smoked salmon here in west Cork, to giving a toasty oak flavour to wine. We thought everyone should have the opportunity to try them! Remember, free shipping for all orders over €50 within Ireland and the EU. Shipping outside the EU? Soak the chips for about 1 hour before you need them. 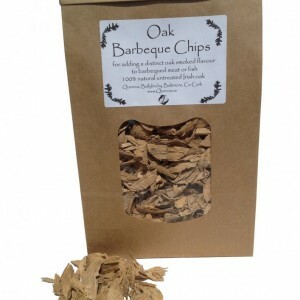 The chips work best on barbeques with a lid. For charcoal or wood BBQ's, throw them directly on the glowing coals as you start cooking. If you have a gas grill, use a smoker tray or make your own using kitchen foil. Make a packet using a couple of handfuls of the wet chips folded into a square of foil. Use a fork to punch several holes on the top of the packet and place it directly onto the grill next to the food. It smokes up wonderfully!